IDRIS ACKAMOOR AND THE PYRAMIDS- AN ANGEL FELL-VINYL. Idris Ackamoor and The Pyramids-An Angel Fell-Vinyl. Bruce Baker in was born in 1951, and grew up in Chicago, before moving to Ohio, where he studied at Antioch College, which was where he first encountered jazz pianist Cecil Taylor and became part of his Black Music Ensemble. Cecil Taylor also mentored Idris Ackamoor, and watched as his young prodigy dawned the moniker Idris Ackamoor in the early seventies, and embarked upon a pan-African adventure as the leader of the Idris Ackamoor and The Pyramids. The newly christened Idris Ackamoor was a flamboyant musical showman who with The Pyramids who combined music and theatre, and each night, dawned a pharaonic headdress before he took to the stage. What followed was a groundbreaking and genre-melting mixture of music from the cosmic jazz pioneers who played with a freedom and invention as they pushed musical boundaries to their limits. In 1973, Idris Ackamoor and The Pyramids released their debut album Lalibela, on their own label Pyramid Records. By then, the members of Idris Ackamoor and The Pyramids were still students at Antioch College when they wrote and recorded Lalibela, which was an ambitious and innovative concept album that documented Idris Ackamoor, Margaux Simmons, and Kimathi Asante’s nine-month African adventure. Lalibela was an innovative fusion of Afrobeat, free jazz, funk and soul which ebbed and flowed as it revealed its many secrets. Lalibela included driving rhythms, ritualistic chants, energetic modal jams, meditative tone pieces and improvisations played using traditional African instruments which were augmented by woodwind and horns on an album that was way ahead of its time. Sadly, Lalibela passed critics and record buyers by and it was only much later that critics and record buyer realised the importance of the album. 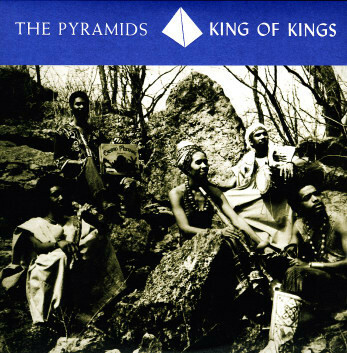 Despite the commercial failure of their debut album Lalibela, Idris Ackamoor and The Pyramids returned with their sophomore album King Of Kings in 1974. Just like its predecessor, it was an ambitious album and had been inspired by Idris Ackamoor and The Pyramids’ love affair with Africa and African history. There’s also a spiritual quality to the music on King Of Kings, where chants are delivered in a call and response style and hypnotic horns join with traditional African instruments, woodwind and piano to create another groundbreaking album. During King Of Kings, Iris Ackamoor and The Pyramids fuse Afrobeat, free jazz, funk, jazz-funk and soul as they push musical boundaries and create an ambitious and spiritual album. Sadly, history repeated itself and King Of Kings failed to find the audience it deserved. 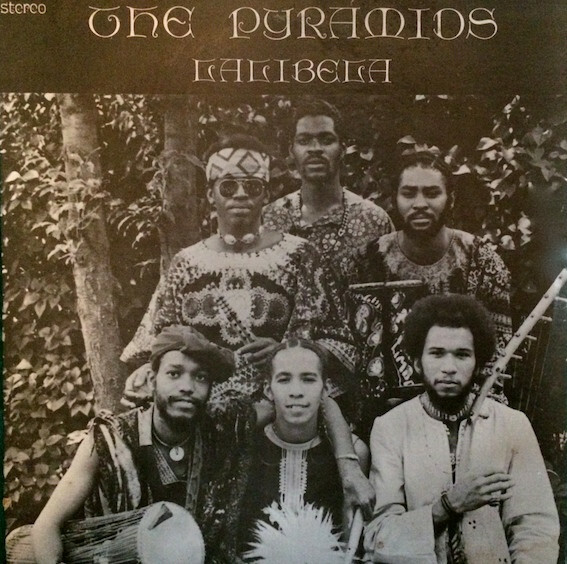 While this must have been a disappointment for Idris Ackamoor and The Pyramids, their label Pyramid Records neither had budget nor the PR expertise to promote the band’s albums and get them into shops. Instead, Idris Ackamoor and The Pyramids relied on playing live to spread the word about their music, and introduce it to a new audience. As a result, Idris Ackamoor and The Pyramids continued to tour widely in the mid-seventies, and by then, they had already toured Africa. However, by then, things were changing for Idris Ackamoor and The Pyramids. By the mid-seventies, Idris Ackamoor and The Pyramids’ lineup was fluid, and new musicians were often recruited by the band. The other change was the instruments that Idris Ackamoor and The Pyramids played. They had played African instruments on their first two albums, but by November 1975 when Idris Ackamoor and The Pyramids began recording Birth/Speed/Merging, they were playing instruments from all over the world. 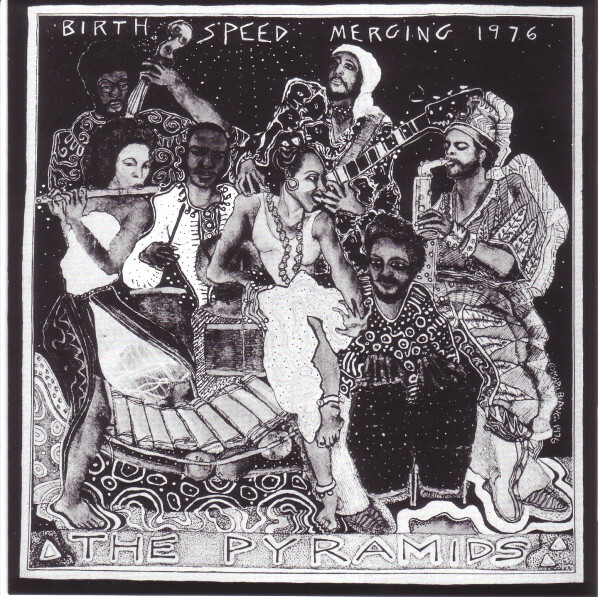 Two years passed before Idris Ackamoor and The Pyramids returned in 1976 with their third album Birth/Speed/Merging. It was recorded in November 1975, and side one featured the three-part, twenty-minute Birth/Speed/Merging suite, which was one of the most ambitious pieces of music from Idris Ackamoor and The Pyramids had recorded. On Birth/Speed/Merging there’s a celebratory, carnival sound as Idris Ackamoor and The Pyramids combined the cosmic sounds and free jazz of Sun Ra with Afrobeat, funk, psychedelia and a much more progressive sound. Birth/Speed/Merging was an ambitious, innovative and genre-melting album where Idris Ackamoor and The Pyramids played with freedom, fluidity and invention on a carefully crafted album. Sadly, when Birth/Speed/Merging was released the album failed to find the audience it so richly deserved. In 1977, Idris Ackamoor and The Pyramids split-up after releasing a trio of underrated and innovative albums that had passed critics and record buyers by. Idris Ackamoor and The Pyramids were one of music’s best kept secrets and it looked as if it would stay that way. Just like many other artists and groups before them, it took a while before the record buying public somewhat belatedly discovered Idris Ackamoor and The Pyramids’ music. It took twenty years before a small but appreciative audience discovered the three albums that Idris Ackamoor and The Pyramids had released between 1973 and 1976. Soon, Idris Ackamoor and The Pyramids had a cult following, and there was a resurgence on interest in their music. By then, Idris Ackamoor had released two solo albums 1998s Portrait and 2000s Centurian. This was followed in 2004 by Homage To Cuba in 2004, which was the debut album from the Idris Ackamoor Ensemble. However, the big question was would Idris Ackamoor and The Pyramids reunite? They would, but not until 2010, and soon, Idris Ackamoor and The Pyramids were making up for lost time. By then, the group’s popularity was growing after the reissue of Lalibela, King Of Kings and Birth/Speed/Merging in 2009. With a new audience discovering Idris Ackamoor and The Pyramids’ music, embarked upon their comeback tour. Little did Idris Ackamoor and The Pyramids realise that they would be spending much of the next couple of years on the road, as their popularity grew. 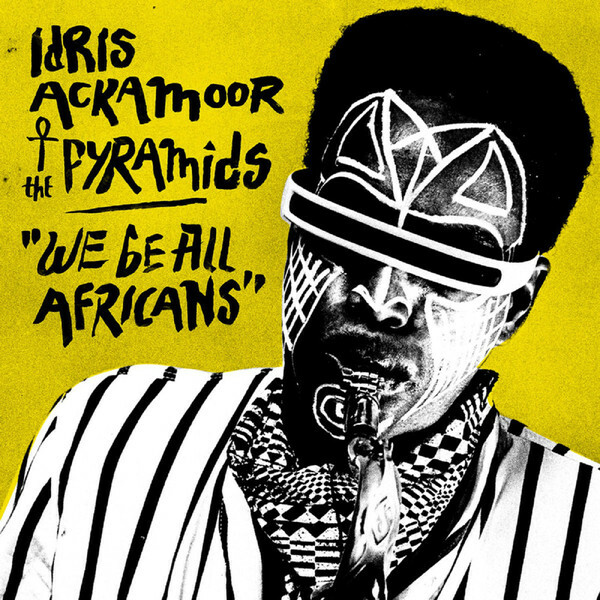 With interest in Idris Ackamoor and The Pyramids in growing, it was no surprise when they released their comeback album Otherworldly in 2012. Otherworldly was released by Cultural Odyssey as part of the Living Legacy Project, and just like the triumvirate of albums Idris Ackamoor and The Pyramids had released between 1973 and 1976 was a pioneering and experimental album. 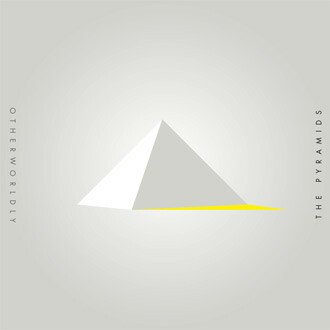 Elements of avant-garde, free jazz and space-age featured on Otherworldly which was released to plaudits and praise and was Idris Ackamoor and The Pyramids’ first album in thirty-six years. Despite releasing their comeback album and continuing to tour, Idris Ackamoor and The Pyramids didn’t release another album for four long years. However, Idris Ackamoor was still recording and releasing albums with two new musical projects. In 2014, the Idris Ackamoor Paris Quartet’s released their debut album The Periphery Of The Periphery and The Collective released Idrissa’s Dream. However, two years later, Idris Ackamoor and The Pyramids were back with a new album. This was We Be All Africans which was Idris Ackamoor and The Pyramids’ fifth album, and their first album for Strut. We Be All Africans was released in May 2016 and was a quite different album from Otherworldly. It was a fusion of Afrobeat, free jazz and jazz-funk from the spiritual cosmic jazz pioneers, which was released to critical acclaim and set the bar high for the followup. 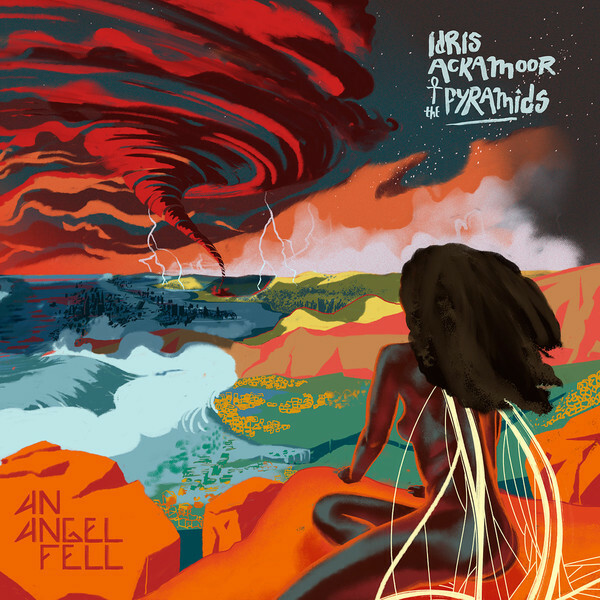 Two years later, in May 2018 Idris Ackamoor and The Pyramids returned with their much-anticipated sixth album An Angel Fell on Strut. The eight tracks on An Angel Fell were penned by bandleader Idris Ackamoor and were produced by Malcolm Catto of The Heliocentrics. However, it was a very different lineup of The Pyramids that accompanied Idris Ackamoor during the recording of An Angel Fell at Quatermass studios in London. Just one member of The Pyramids returned for the recording o An Angel Fell, violinist Sandra Poindexter, who made her debut on We Be All Africans. Sandra Poindexter who joined by a new lineup The Pyramids. This includes a rhythm section that features drummer Johann Polzer, double bassist Bradie Speller and congas plus guitarist David Molina. The new lineup of The Pyramids provide the perfect foil for Idris Ackamoor on An Angel Fell which is a thought-provoking album. Idris Ackamoor explains: “I wanted to use folklore, fantasy and drama as a warning bell…“The songs explore global themes that are important to me and to us all: the rise of catastrophic climate change and our lack of concern for our planet, loss of innocence and separation…but positive themes too, the healing power of music, collective action and the simple beauty of nature.” These songs are part of what’s one of the most eclectic albums of Idris Ackamoor and The Pyramids’ long career. Just like Idris Ackamoor and The Pyramids’ previous albums, free jazz is at the heart of An Angel Fell. Especially the free jazz of two of its founding father’s Pharaoh Sanders and Sun Ra which seems to have influenced Idris Ackamoor as a saxophonist and bandleader. There’s also elements of Afro-Cuban, dub reggae, hip hop, psychedelia and rock on An Angel Fell, which ebbs and flows revealing everything from beautiful ballads to intrepid free jazz workouts. Tinoge opens An Angel Fell and is an urgent seven minute free jazz workout where Idris Ackamoor’s scorching saxophone takes centre-stage as he plays with speed, power and freedom, while percussion and the rhythm section drive the arrangement along providing the perfect accompaniment. There’s a poignancy and sadness to An Angel Fell which features Idris Ackamoor and The Pyramids at their most inventive and innovative as they tell the story of a fallen angel in purgatory. Very different is Land Of Ra which becomes dubby and spacious, but later, is a showcase for Idris Ackamoor’s saxophone which is played with power as he takes the track in the direction of free jazz. Papyrus is a much more understated and melodic track that allows time to reflect and ruminate. So does the instrumental Soliloquy For Michael Brown where words aren’t needed to tell this tragic story. Instead, Idris Ackamoor’s soul-baring saxophone and Sandra Poindexter’s violin play leading roles in this powerful, moving and thought-provoking instrumental. Equally thought-provoking are the lyrics to Message to My People where the rhythm section, including a rocky guitar, join with the congas in providing the backdrop to the soulful vocals. Warrior Dance is an eleven minute epic that heads in the direction of psychedelic rock, while the album closes with Sunset a beautiful, spiritual song with some of the most soulful vocals on Angel Fell. Two years after Idris Ackamoor and The Pyramids released We Be All Africans, they recently returned with their sixth album An Angel Fell, which was released by Strut. An Angel Fell is Idris Ackamoor and The Pyramids’ finest album since they made a comeback in 2010, and finds the latest lineup of the band rolling back the years on their most eclectic album. Idris Ackamoor and The Pyramids play with freedom, fluidity, power and speed, but sometimes drop the tempo as they showcase much more understated and melodic sounding songs as they flit between and fuse elements of Afrobeat, Afro-Cuban, dub, free jazz, hip hop, improv, psychedelia, rock and spiritual jazz on An Angel Fell which features everything from beautiful, ruminative ballads to energetic free jazz workouts. Incredibly, Idris Ackamoor and The Pyramids spent only a week recording An Angel Fell with producer Malcolm Catto of The Heliocentrics. He plays an important part in the sound and success of An Angel Fell where this latest lineup of The Pyramids provide the perfect foil for saxophonist Idris Ackamoor as he showcases his skill, versatility and ability to innovate. Innovating is something that Idris Ackamoor and The Pyramids have been doing since they released their debut album Lalibela in 1973. Forty-five years later, and Idris Ackamoor and The Pyramids are still innovating as they continue to push musical boundaries on their sixth album An Angel Fell, which is an ambitious album of eclectic, energetic, genre-melting, poignant and thought-provoking music. ← COCTEAU TWINS-TREASURE HIDING: THE FONTANA YEARS-VINYL.